This press event was held at Bally's from 7 to 10 PM and covered the latest technology in many different markets. 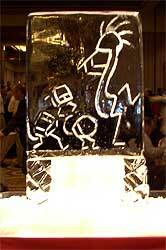 And of course, the ShowStoppers ice sculpture was there too! 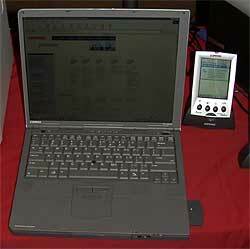 Compaq displayed the range of their complete line of portable devices from a high performance, desktop replacement laptop to a palm-sized device. 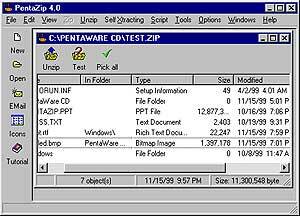 The Compaq Armada line features an across the board copatiability of parts, options and docking stations which helps customers realize a lower total cost of ownership (TCO). 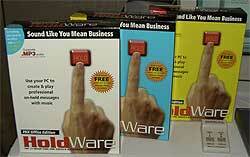 Recently, Compaq announced the Armada E500 series, a price/performance leader and the Armada V300, a budget/value series. 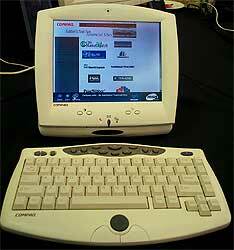 Examples of potential Compaq products New technology "demos" of potential, "net-terminal" like products from Compaq. They were quite close mouthed about these devices. 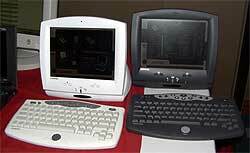 It appeared that these "net-terminals" could be a new product in the year 2000. Stay tuned. 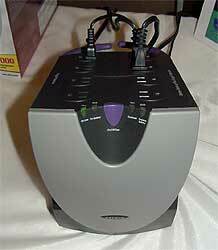 This unusual looking device is really a UPS. Much more visually interesting than the typical white/beige rectangular boxes. 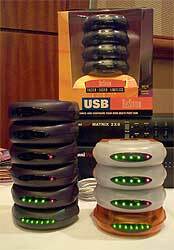 These items aren't holiday decorations but a "stack" of USB hubs. With the Belkin system, you can connect over a dozen devices to your PC. 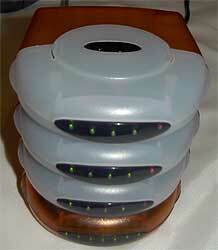 This picture was taken with a Kodak DC280 using flash. I have never seen a product shot change so radically due to the flash. 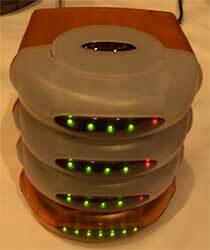 The flash causes the plastic used in these hubs to take on an ethereal, ghostly quality. When the flash was NOT used, the LEDs show up better. Both of these pictures were taken with the Toshiba PDR-M5 digital camera at 1200x1600 resolution. 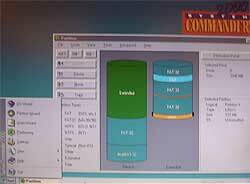 V Communications will soon be releasing a new version of System Commander. 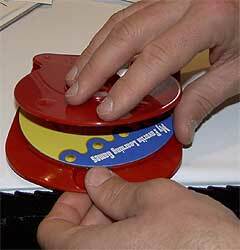 This device helps you place labels more efficiently on recorded CD-ROMs. 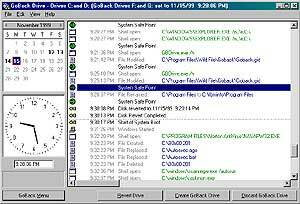 This software lets small businesses record their own "music on hold". 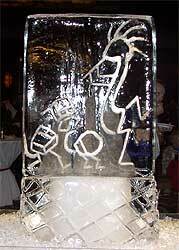 Ice sculptures melt over the course of the event. You can see some subtle differences between this picture and the one at the top of this page. More coverage of the ShowStoppers event.